Think twice before buying a limited edition supercar. We love to point out rare cars that appreciate in value as the years go on. Rare cars like the Porsche 911 R have skyrocketed in value before owners even take delivery. This trend seems to be more common among special edition Ferrari models, especially the hypercars like the LaFerrari. Supercars aren't the only cars that appreciate. 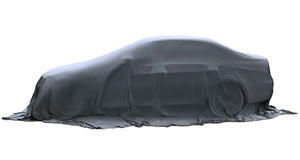 Some cars, like the Tesla Model X have high demand and can sell above MSRP for a time. However, we have compiled a list of five limited edition cars that did not appreciate at all and they all happen to be painted white. Lamborghini is gaining a bad reputation for its special edition models that do not hold their value. Even the extremely low-volume Reventon is worth less now than when it was new. The Gallardo LP570-4 Performante was a basically a convertible version of the light-weight Superlegerra coupe. This limited edition model was built from 2011 to 2013 and cost $251,000 when it was new. We found used examples priced from $190,000 down to $150,000 depending on the year, meaning none of these cars held their value. Lamborghini is becoming a wasteland for people who like to buy supercars to speculate on their value. For that, a Ferrari is a much better option. 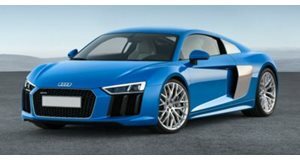 Like the Lamborghini Gallardo on which it's based, the Audi R8 GT has not held its value over the years. Audi revealed the R8 GT back in 2012 as a lightweight, track-focused version of its flagship supercar. When it was new, the R8 GT cost $197,000 and was the fastest R8 that money could buy. Audi limited production to 333 units, but this couldn't stop the car's value from dropping. The most expensive model we found was a Spyder model for $160,000, and the least expensive model was a coupe for just $134,000. Whichever version of the R8 GT you want, it can be had for a relatively low price. 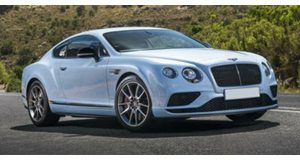 Perhaps the Volkswagen Group just can't make special editions because the Bentley Continental GT3-R is the third model from the VW family on this list. The GT3-R seemed like a ridiculous idea from the start, building a race-focused version of such a heavy luxury coupe. The car was $342,000 when new, which was extremely expensive. That was around $135,000 more than a V8 Continental GT, but production was limited to 300 units with only 99 slated for the US. Even being so rare, the cheapest model we found was $215,000 with over 6,000 miles on it. Even a low-mileage example with just 199 miles on it was $248,000. Clearly this huge car wasn't worth the huge price. Maserati has struggled with huge depreciation on almost all of its models. Cars that once had $100,000 sticker prices would be worth a fraction of that only a few years later, and the special edition models are no exception. 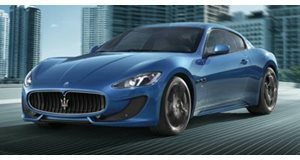 The Maserati Gran Turismo is the brand's oldest model, which has been around since 2007. In 2012, Maserati tried to breathe fresh life into the car with the Gran Turismo MC, which was a track-focused version costing $144,000 when it was new. Today, these cars can be had for as low as around $70,000, proving that they did not hold their value. There was even a rarer version called the MC Stradale which cost $345,000: talk about over priced. When Jaguar was getting ready to replace the XK with the F-Type, it came out with the amazing XKR-S. This car was very good, but the best came a little later with the XKR-S GT, the final send-off for the XK. This car cost $174,895, which was $42,000 more than the XKR-S on which it was based. The car only came in white, and just 25 where made available in the US. The car featured a huge wing and lots of other track goodies, but all of this wasn't enough to help it retain its value. We found one of the 25 cars for just $120,000. Despite its rarity, the XKR-S GT hasn't been able to hold its value since being revealed in 2014.